Come to the River Street Labor Day Celebration for your Savannah getaways before then end of the summer travel season. 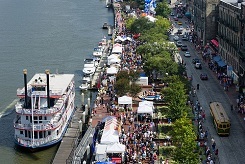 The River Street Labor Day Celebration will be along Historic River Street on September 3 - 4, 2011. Opens at 9am both Saturday and Sunday. This annual event features artists from around the region with unique arts & crafts and is FREE. Also enjoy entertainment & fun for the entire family. Savannah getaways this Labor Day must include the River Street Labor Day Celebration! 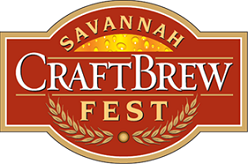 Savannah Craft Brew Fest in Historic Savannah is coming up very soon on September 2-4, 2011. This event is the area's much anticipated opportunity to experience a three day festival that is solely dedicated to the craft brew enthusiast. Don’t miss the contests for professional and home brewers, which will include local and national judges to test the best brews of the event. And also take advantage of seminars and discussions with brewers from across the U.S. all while overlooking the Savannah River and Historic River Street. Tickets are on sale and information about reserving your spot at the event can be found here. Come to Historic Savannah along the Savannah River and Historic River Street for a weekend of fun and book your weekend guest room at our fine and elegant Savannah lodging establishments. Savannah's TLC Members Best of 2011 includes some Savannah Sites that need to be visited when you plan your Savannah Vacation. We at Romantic Inns of Savannah want to take a moment to congratulate a few of the fine locally owned business who are a part of the Savannah Tourism Leadership Council (TLC). 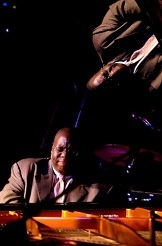 Savannah Music Festival: Best Cultural Event, Best Festival That's Not St. Patrick's Day. Savannah Theatre: Best Local Theatre Production. Jepson Center for the Arts: Best Museum, Best Art Gallery. The Crab Shack: Best Tybee Island Restaurant, Best Outdoor Dining. The Olde Pink House: Best Overall Restaurant, Best Fine Dining, Best Downtown Restaurant, Best Wait Staff, Most Romantic Restaurant. Wet Willie's: Best River Street Bar. Congratulations to them all and remember when you plan your Savannah Vacation to be sure and include our historic Bed and Breakfasts in your travel plans. Historic Savannah celebrates Savannah's 150th Civil War commemoration with Riverboat Cruises on the River Street Riverboat as it travels along the path of the Civil War soldiers toward Old Fort Jackson. The Civil War Experience trips will be on Friday August 5, Friday September 2 and Friday October 7, 2011. Boarding begins at 6:00pm with a sail time of 7:00 - 10:00pm each night. As guests board they will be welcomed by uniformed Civil War Union and Confederate soldiers while a Dixieland Jazz band plays. Once on board, guests will be able to absorb the beautiful and stunning views of historic Savannah, listen to period music and dine on a savory and authentic southern dinner buffet. Upon arrival to Old Fort Jackson, guests will be greeted by the fort’s honor guard and escorted inside the fort. As they cross the drawbridge, the guests will enter the year 1861; watching soldiers prepare the fort and practice their marching and artillery drills. Guests will have the opportunity to interact with the soldiers of Old Fort Jackson while learning what daily fortification life was like. Live period music will fill the air of the fort while leading up to the climax of the evening, a live firing of one of the largest and oldest original artillery pieces in the country! On the return voyage back to Savannah aboard the River Street Riverboat, guests will enjoy sweet Savannah treats and night lights of Savannah itself. Make plans now for a Historic Savannah getaway to experience Savannah's 150th Civil War commemoration aboard the River Street Riverboat.